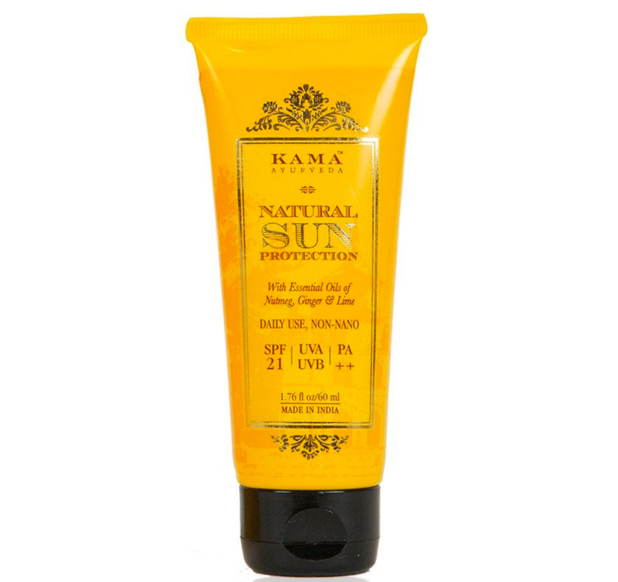 Kama Ayurveda has launched the new Natural Sun Protection SPF-21 cream. 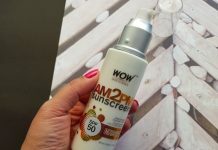 It is a daily-use sunscreen with all-natural ingredients to give full-spectrum sun protection and a boost of hydration. 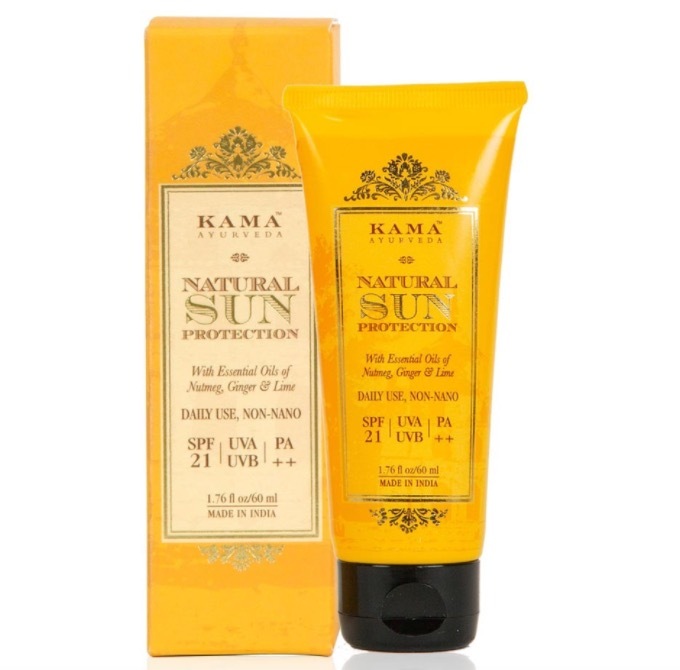 It has protection against both UVB (causes sunburn) and UVA PA++ (causes skin aging & skin cancer) sun radiations. 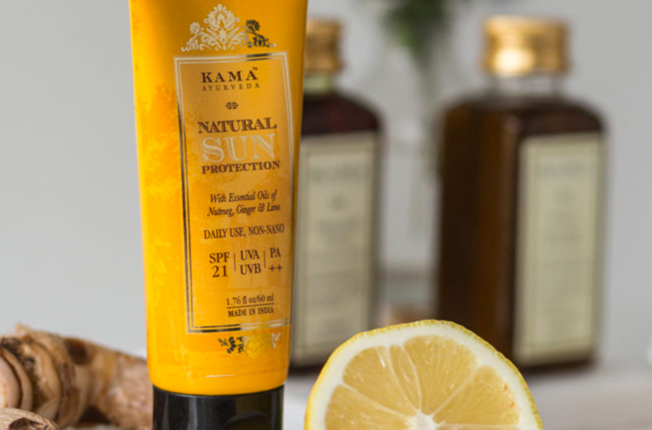 The new Kama Ayurveda Natural Sun Protection is a Sun savior. It is a sunscreen that won’t clog your skin with chemicals, is light enough to disappear yet shield, has anti-oxidant rich ingredients like nutmeg, ginger, and lime, and includes Shea butter and olive oil, need special space on your shelf, through the year. A light formula containing natural minerals such as titanium dioxide and zinc dioxide which reflect the sun rays back from exposed skin. Natural glycerine and olive oil derived actives condition skin without making it greasy. Nourishing Shea butter soothes irritation, repairs sun spots and other signs of sun damage. Pure essential oils of nutmeg, ginger, and lime leave the skin lightly and freshly scented. 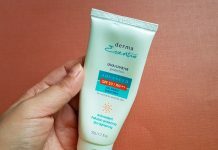 A daily-use, face and body sunscreen with all actives for total sun protection and a boost of hydration. This formula contains natural minerals like Titanium Dioxide and Zinc Oxide which reflects the sun rays back from the exposed skin. Non-Comedogenic, safe for use on children above 3 years. Directions to use: Shake well before use. take an appropriate amount onto your palm and blend into all exposed areas until well-absorbed. Use as the last step in the skin care routine. Apply liberally 20 minutes before the sun exposure. Reapply every 2 hours. 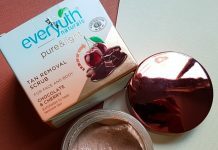 Ingredients: Aqua, Caprylic/Capric Triglyceride (and) Titanium Dioxide (and) Polyhydroxystearic Acid (and) Aluminium Stearate (and) Alumina, Zinc Oxide (Uncoated), Isoamyl Laurate, Isoamy Cocoate, Glycerine, Cetearyl Olivate (and) Sorbitan Olivate, Bytrospermum Parkii (Shea) Butter, C14-22 Alcohols (and) C12-20 Alkyl Glucoside, Cetyl Alcohol, Glyceryl Caprylate, Parfum, Cera Alba, Cetostearyl Alcohol, Xanthan Gum.